With Federal income taxes nearly due, I thought it might be fun to put together a worksheet you can use with students to let them apply math to filing taxes. 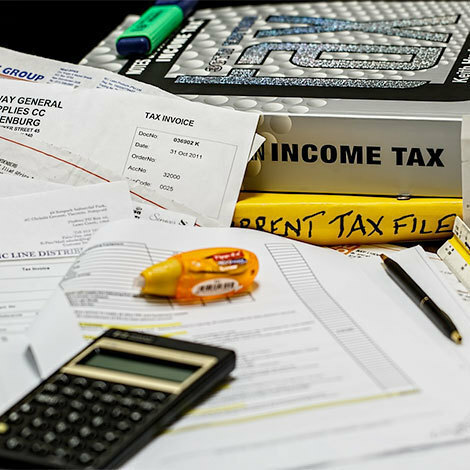 The worksheet is an extremely simplified version of the 1040, with instructions and pretend numbers for students to use. To use it, students need to know multi-digit addition and subtraction, along with rounding (although you could round the numbers for them if needed). Please let me know if you find the worksheet helpful. A few of you have suggested that I send out ready-to-go worksheets, so I thought I would give it a try. Remember, one of the goals in teaching math is to equip students to use math in their own lives to complete various tasks. God created man to work, and math is a tool that can help us in that. We can use math because He gave us the ability; thus we, unlike animals, can even file income taxes. And since income taxes are due each year, it’s an example of how math helps us with real-life tasks. 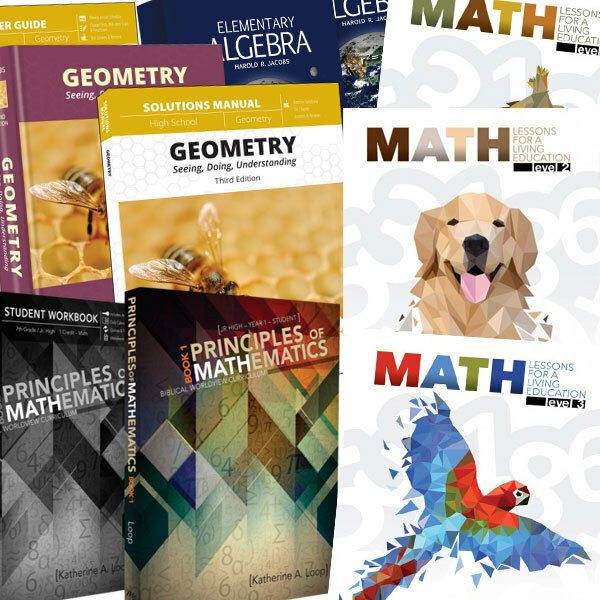 We’ve got math curriculum for elementary to algebra and geometry to help you teach math in a way that connects it with God’s creation and real-life tasks. Have questions about any of it? Let me know–I’d love to answer them. I’m planning to do a Facebook Live Q&A sometime this week (follow our Facebook page for exact timing and to watch the recording afterwards) and will be addressing lots of common questions there too. Hope you can join in!